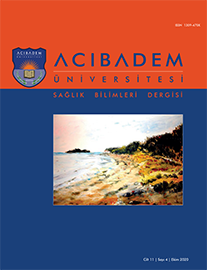 2Kafkas Üniversitesi, Sağlık Bilimleri Fakültesi, Hemşirelik Bölümü, Kars, Türkiye DOI : 10.31067/0.2019.104 Objective: This study was conducted methodologically for adapting the Primary Care Satisfaction Survey for Women into Turkish. Material-Method: The population of the study consisted of mothers who gave birth in a maternity hospital between July 2015 and May 2016 and met the inclusion criteria. The sample of the study consisted of 327 mothers who applied to the hospital in the postpartum period of 2 weeks-2 months and agreed to participate in the study. The data of the study were collected by using "Parent-Infant Information Form" and "the Primary Care Satisfaction Survey for Women (PCSSW). The survey consists of a total of 16 items. Each item is scored from 1 (not satisfied at all) to 5 (highly satisfied). While the lowest score obtained from the survey was 16, the highest score was 80. Expert opinions were consulted for the language validity of the survey. It was determined that there was a coherence among expert opinions regarding the items in the survey. Cronbach"s Alpha reliability coefficient and item analyses were performed for evaluating the reliability of PCSSW. Results: Correlation analysis was performed for construct validity of the survey and as a result of the analysis, it was determined that it could account mostly for 76.89% of total variance of the 16-item survey. For the reliability of the survey; the item-total score correlation values were determined between 0.427?0.785 and the Cronbach"s Alpha value was 0.93.